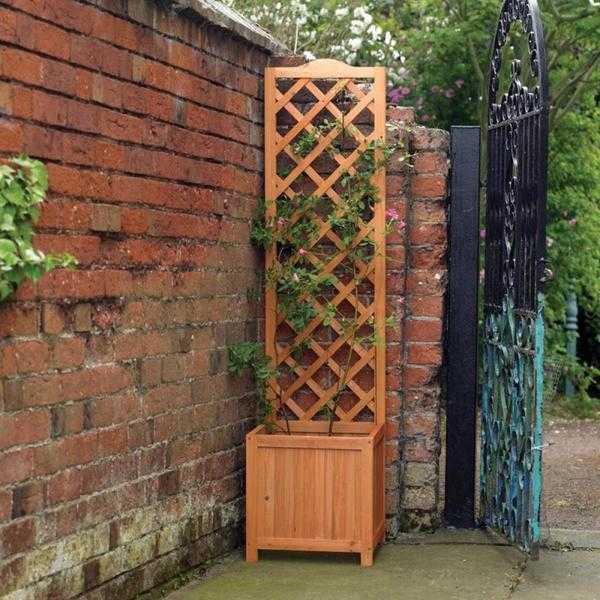 Wooden, 160cm tall planter climber is ideal for growing climbing plants in the garden or in a corner of patio against the wall. The planter section measures 40cm x 40cm x 40cm and will require approx. 60L of soil. Made from pressure treated and stained Chinese Fir wood.